Practice French hiking in our stunning Gorges de l’Aveyron. 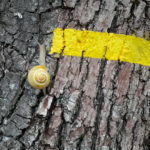 What is the difference between hiking yellow marks and white/red ones ? This brave French snail knows it : he chose a PR* loop to be sure to come back home before night. Like him, enjoy a half day easy or medium level hike on shepherd trails. Three different ‘Causses’ surround St Antonin and offer specific geology, flora and human activity in the past. You will spot them and learn a lot about the area. 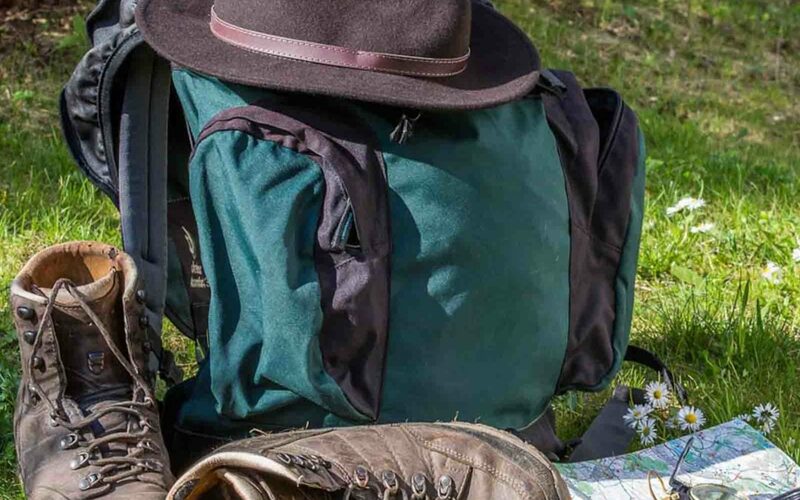 With your French native guide, you will practice your French, learn an amount of things and vocabulary about orientation & map reading, plants and trails. Thus, French system of trails marking, culture and history won’t have any more secret for you. All the hikes begin in St Antonin, no need of a car. Icing on cake**, share a traditional picnic in stunning natural surroundings. Taste a traditional or vegetarian organic picnic and take back home your My French Pass souvenir. During summer, we give priority to morning (9am-2pm) or evening hikes (5-10pm, sunset included). Groups: 2-6 persons. Fares: 55€, all included (copy of map, organic picnic, coffee) . Dive in French-occitan culture, get fit and practice your French with My French Pass !